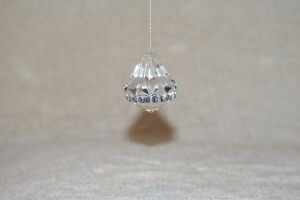 Home / STORE / Hanging Decorations / Crystal Drops. Hanging from fine thread are these resin crystal drops which sparkle in the lights of the Christmas Tree. Approx 5cm.